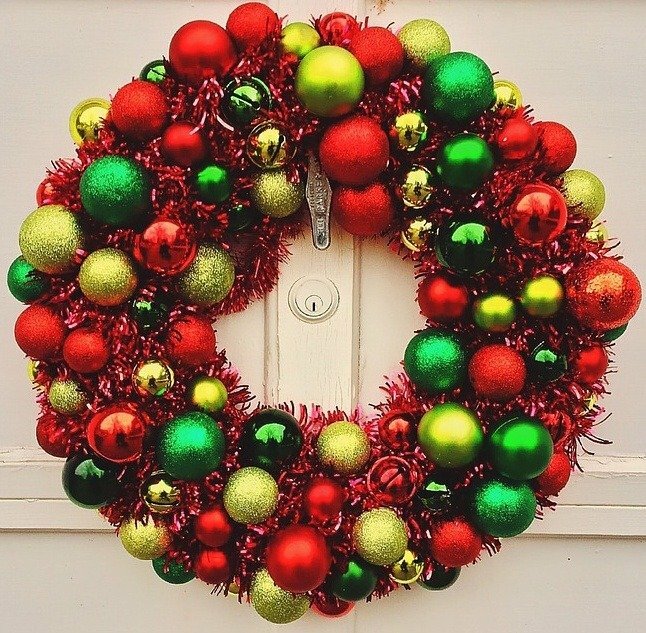 Happy Holiday season! What a busy time of year for us all! It is also a good time to reflect on the past year and look forward to the upcoming year. Hope yours is a healthy one! 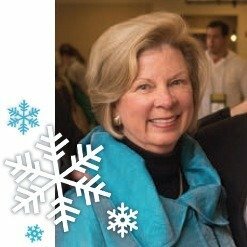 Join Boston group leaders Lauren Komack, MSW, LICSW and Charlotte Thibodeau, RN for a special meeting covering how to navigate the holidays gluten-free on Wednesday December 7 at 7:00 p.m. The meeting will take place at the South End Whole Foods Market, 348 Harrison Ave., Boston, MA 02118. This event is free, open to the public and does not require pre-registration. 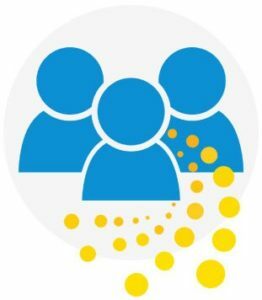 Group meetings provide the opportunity to talk about managing celiac disease and living gluten-free. There are no set agendas, pre-registration is not required and there is no charge to attend. Just drop in! Visit our Monthly Group Meeting event page for the full schedule and location of each meeting. Contact the group leader if you have questions about any of the group meetings. Regular Boston area meetings are on hold. Please come to the Gluten-Free Holidays special meeting. Should you have any questions or wish to meet with a group leader, please contact Lauren or Charlotte. 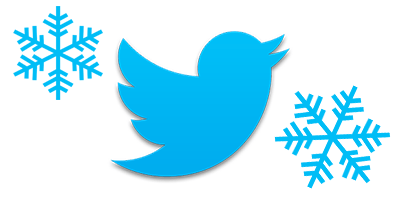 American Gluten-Free and Tasty Meditation are hosting a Twitter party on Wednesday December 7 at 9pm. Click here for more information or to pre-register. A GF and Vegan Holiday Cookie Class recommended for elementary school age children will be held at Treat Cupcake Bar in Needham on December 11 at 3 pm. Click here for more information or to register. Shilpi, of EZ Compliments, is running many gluten-free Indian cooking classes in December. Mention that you are a NCA member to get a $10 discount on registration. Follow the links for more information or to register. 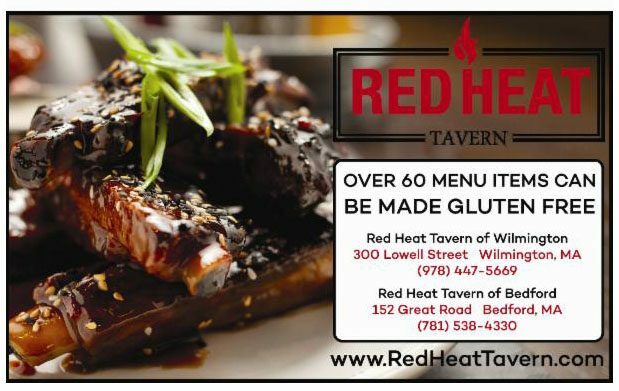 Chef Oonagh Williams is doing Three Course Cooking Demos in Merrimack, NH on December 14. 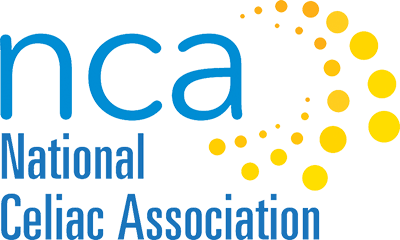 The NCA Advisory Board will meet on Wednesday January 11 at 7:30pm. Contact Lee if you would like to attend or would like more information about what happens during these insightful and spirited evening meetings. The next Symposium, Celiac Disease: Medical Myths and Milestones will be held on Saturday April 1, 2017. Note the new date. 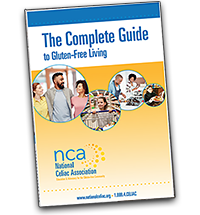 Hosted by NCA and the Celiac Center at Harvard Medical School, this full day event will include gluten-free breakfast and lunch, speakers and vendors. Registration will open in January and seating will be limited so register early. More information to follow soon! The Italian Journal of Pediatrics published a study which found that the incidence rate of celiac disease among preschoolers with Autism Spectrum Disorders was significantly higher than the general pediatric population. This article discusses the difference between celiac service animals and gluten-free emotional support animals. With input from Dr. Joseph Murray, Dr. Alessio Fasano and Shelley Case, RD, Allergic Living answers 15 Big Celiac Questions in this excerpt from the magazine. Science Magazine summarizes a study examining a possible link between tBHQ and a rise in food allergies. This Medscape article is titled Gluten-Free Diet Does Not Repair Intestinal Damage in Some Children With Celiac Disease. Please note, you will need to create a Medscape account to read this article. Potato chips in Ireland marked gluten-free were found to contain up to 700 ppm of gluten. Read about the court case and manufacturer’s response here. 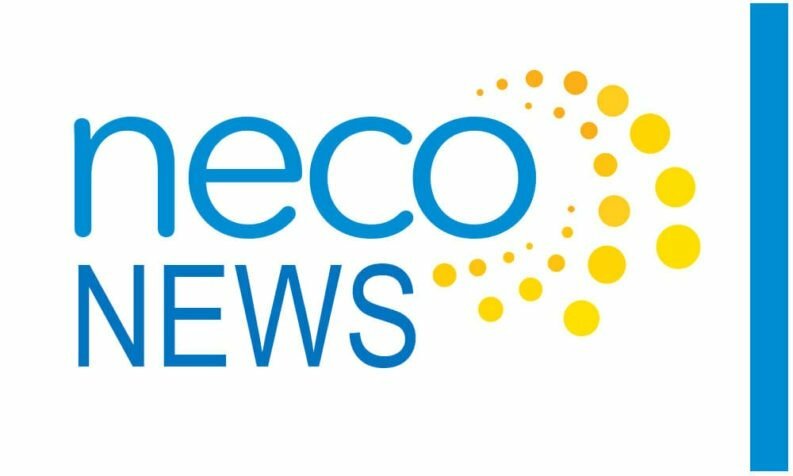 Beyond Celiac published this take on the Nima gluten sensor. This Today article questions if sorghum is the new quinoa and provides tips and information about sorghum. The Celiac Project podcast features Maureen Leonard, MD, who discusses the microbiome. Drs. Alessio Fasano, Ivor Hill and William Balistreri discuss celiac disease in children in this Medscape video. Please note, you will need to create a Medscape account to view this video. Gluten-Free Watchdog Tricia Thompson, MS, RD posted this video to help explain parts per million (or ppm.) Her post, how much gluten is 20 parts per million, helps to clarify as well. NCA’s annual appeal is underway. 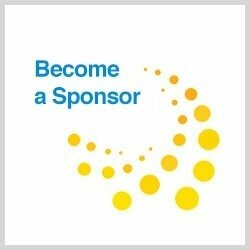 Your donation helps us to educate and advocate for individuals with celiac disease and non-celiac gluten sensitivities, their families, and communities throughout New England. This is also a great time to remind members, friends and supporters of some alternative ways to support NCA. For many people, this is the time of year where employers launch their annual United Way campaigns. When participating in a United Way campaign, you have the option to direct your gift to a specific not-for-profit. Please consider selecting NCA as your gift recipient. NCA has been fortunate to receive several gifts from members which in turn have been matched by their employers. Most companies have their match program guidelines, including specifics regarding match giving available on the company intranet site, in an Employee Guidebook or inquire through your Human Resources Department. Support us when you shop this holiday season! Amazon Smile will donate a portion of your eligible purchases to NCA. 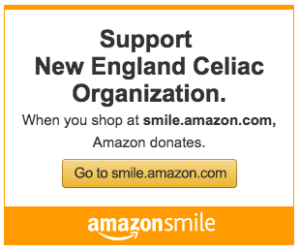 Simply select National Celiac Association as your preferred charity or follow this link. Sabra Hummus recently issued a recall due to possible contamination with Listeria monocytogenes. Click here for more information. Trader Joe’s has also recalled certain packages of Mediterranean Hummus and White Bean & Basil Hummus due to possible contamination with Listeria monocytogenes. Click here for more information. 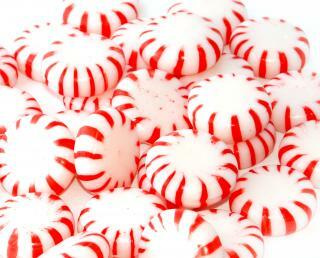 A list of GF Christmas candies can be found here. A member reported that the Search function for Eataly.com shows not only gluten-free items when you search for gluten-free, but also products containing gluten that are sugar free or egg free. Eataly is reportedly working to fix this. As always, we recommend that you read labels carefully. 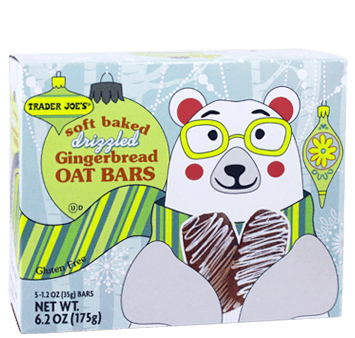 A member saw soft baked drizzled Gingerbread Oat Bars at Trader Joe’s and thought they look good. Please note that this product contains oats and does not state that the oats are certified GF. 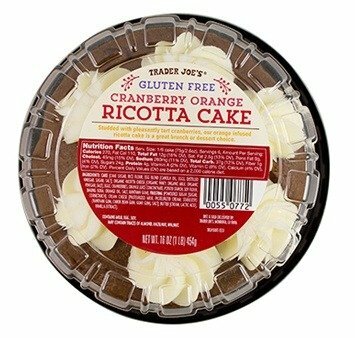 A member purchased the GF Cranberry Orange Ricotta Cake at Trader Joe’s and said that it was moist and delicious. She highly recommends it as a holiday treat. Try this recipe for a seasonal delight! Getting ready to cook? Snap a few photos of your recipe in process or the final yummy result, and submit them to be added to our website! Watch Chef Oonagh prepare an orange liqueur tipsy cake during NH’s ABC WMUR Cooks Corner at 12 noon on Wednesday, December 7. Click here to view the episode online. 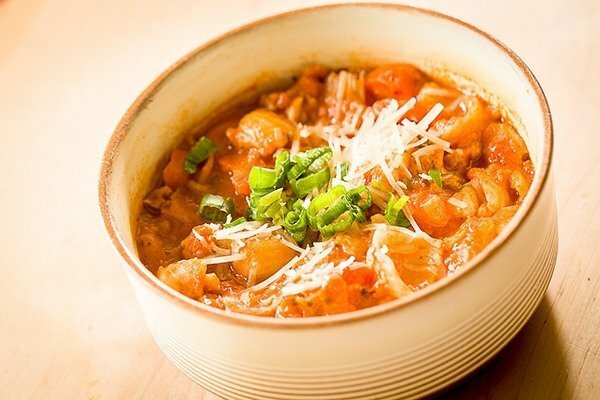 Click here to see that and other recipes shared by Chef Oonagh on her Facebook page. 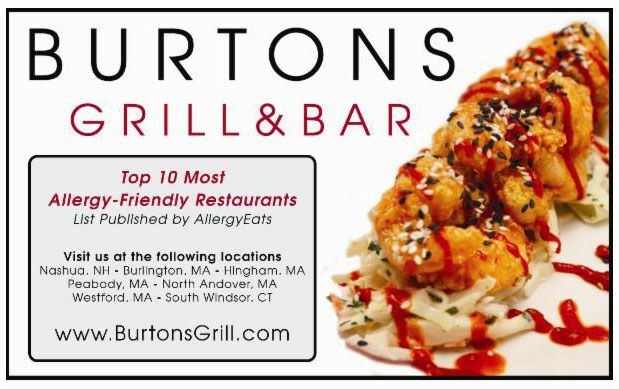 Congratulations to Cindy from Abington, MA, who won the November giveaway, a copy of You Won’t Believe It’s Gluten-Free! 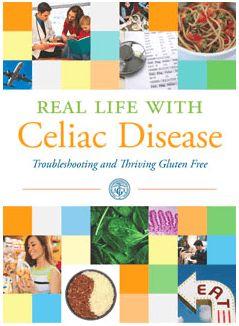 This month, you can win a copy of Real Life with Celiac Disease Troubleshooting and Thriving Gluten-Free by Melinda Dennis, MS, RD, LDN and Daniel Leffler, MD, MS.
To enter, simply send us an email with your name and mailing address by December 16.